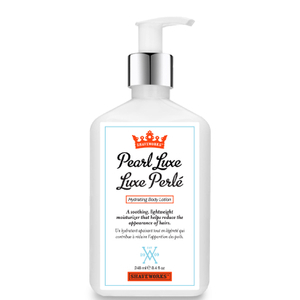 Treat your skin to the Shaveworks Pearl Luxe Body Lotion; a deeply hydrating formula that works to soften, smoothen and condition skin from top to toe. Infused with Allantoin and Aloe Vera, the lightweight lotion soothes, calms and restores long-lasting comfort, whilst Bisabolol provides anti-inflammatory properties to heal skin. Capislow™ reduces hair growth so you can shave less frequently and avoid razor bumps, leaving skin nourished, rejuvenated and perfectly pampered. Use everyday post shower or bath. 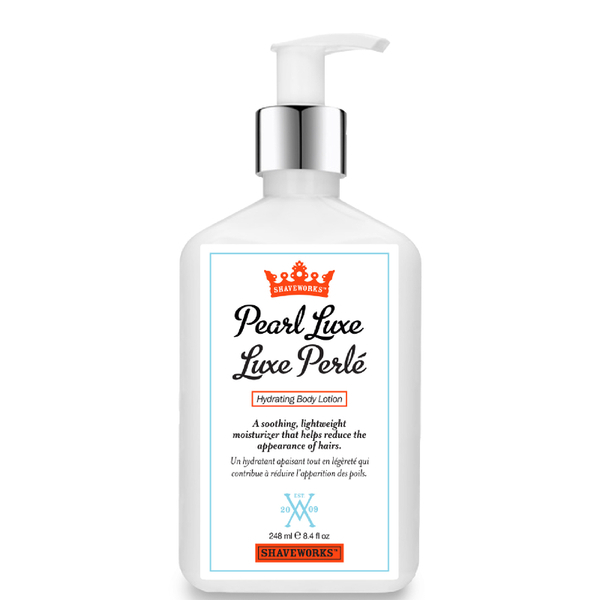 Massage a generous amount onto cleansed skin. Water/Aqua/Eau, Isopropyl Myristate, Stearic Acid, Glyceryl Stearate, Cetyl Alcohol, Phenoxyethanol, PEG-40 Stearate, Limnanthes Alba (Meadowfoam) Seed Oil, Allantoin, Larrea Divaricata Extract, Aloe Barbadensis Leaf Juice, Glycerin, Lecithin, Sorbitan Tristearate, Bisabolol, Carbomer, Sodium Hydroxide, Tetrasodium Edta, Butylene Glycol.